Step 1 : Install CommView for WiFi . It doesnt matter whether you install it in VoIP mode or Standard mode . I used VoIP . It automatically installs the necessary drivers . Allow it to install . 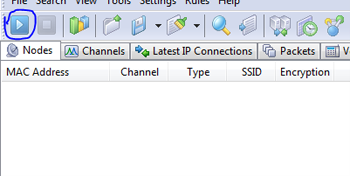 Note :- You will not be able to connect to any Network using WiFi when using CommView . Step 2 : Click on the PLAY ICON in the Left First . 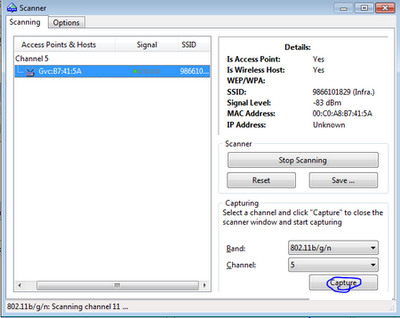 Step 4 : (Choosing the Network (b) ) : Click on the WiFi network you want to hack in the Right Coulumn and Click on CAPTURE. Note :- This tutorial is only for WEP protected networks . 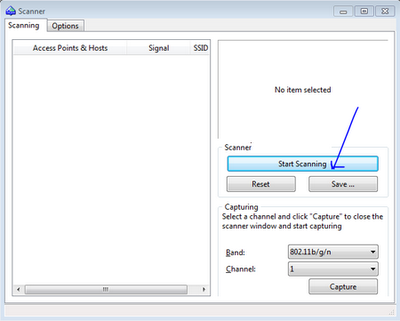 Step 5 : (Capturing the Packets) : The windows should close now and you should see that CommView has started Capturing Packets . Step 6 : (Saving the Packets ) : Now that the Packets are getting captured you need to Save them. 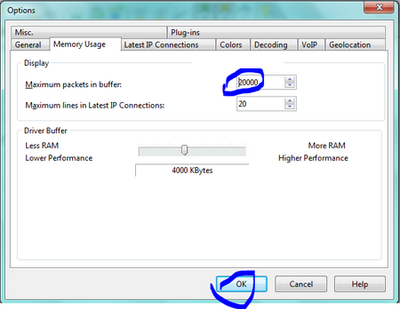 Click on Settings->Options->Memory Usage Change Maximum Packets in buffer to 20000. Click on the LOGGING Tab . Now CommView will automatically Start Saving packets in the .ncp format at a size of 20MB each in the specified directory . Step 7 : ( Concatenating the Logs ) : Since you are capturing a lot of logs you will need to concatenate them into once file . To do this go to Logging and click on CONCATENATE LOGS Choose all the files that have been saved in your specified folder and Concatenate them . Now you will have one .ncf file . Step 8 : (Converting .ncf to .cap ) : Now that you have one file with all the packets you need to Convert it into .cap file for AIRCRACK to crack . 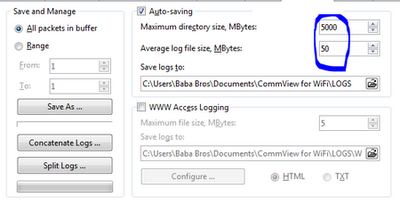 Click on File->Log Viewer->Load Commview Logs-> Choose the .ncf file. Now File->Export->Wireshark/TCP dump format . Now for the Second Part Cracking this is very simple . Just open the Aircrack Folder->Bin->Aircrack-ng GUI.exe Choose the .cap file and you should be able to do the others . Also select the encryption(WEP or others) and Key size (64). Press launch and the key will be revealed. or try other settings if not working.